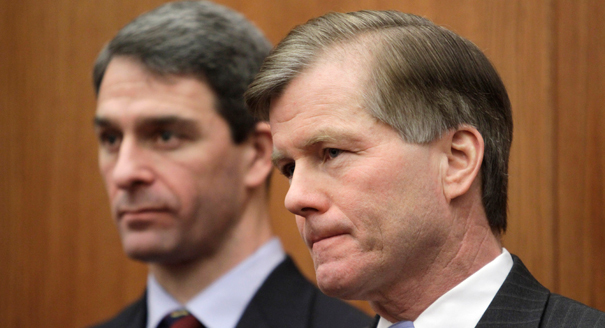 More than two years ago, I opined that the corruption charges against McDonnell be dropped, because his behavior did not rise to the level of an “official act.” The Court did not rely on the cases I cited but essentially came to the same conclusion. The decision to re-try McDonnell will be made in the coming months. Given this definition, I will be surprised if it happens. For purposes of this case, the parties defined honest services fraud and Hobbs Act extortion with reference to §201 of the federal bribery statute. Because we have interpreted the term “official act” in §201(a)(3) in a way that avoids the vagueness concerns raised by Governor McDonnell, we decline to invalidate those statutes under the facts here. This appears to be the same argument that Burfoot’s attorneys were making. The definition of “official act” is now clear and the trial should proceed as soon as possible. Burfoot will be in Norfolk Court Monday for the recall trial. It is possible he could be suspended from office immediately pending his trial. Typed that last comment too fast. Burfoot will be in Court this Wednesday.